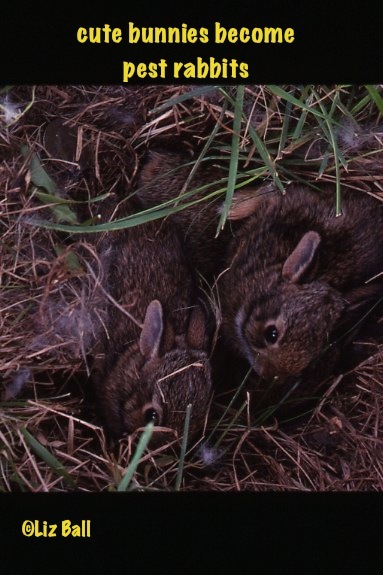 Rabbits are year round pests in most parts of the US. They feast on cultivated and wild plants during the growing season. In the winter they forage for woody plants, nibbling tender stems and bark of a large number of trees, shrubs and vines. They destroy these plants by girdling them or clipping them off at the ground. Rabbits ignore corn, cucumbers, peppers, potatoes, squash, and tomatoes. Although it may seem as if rabbits eat everything, there are many perennial flowering plants that they avoid.